On the configure-price-quote game, it’s crucial to determine which solution will represent the company and its products the best. A CPQ solution will be configuring complex product offering, pricing that complex offering, and then delivering a branded quote to seal the deal. 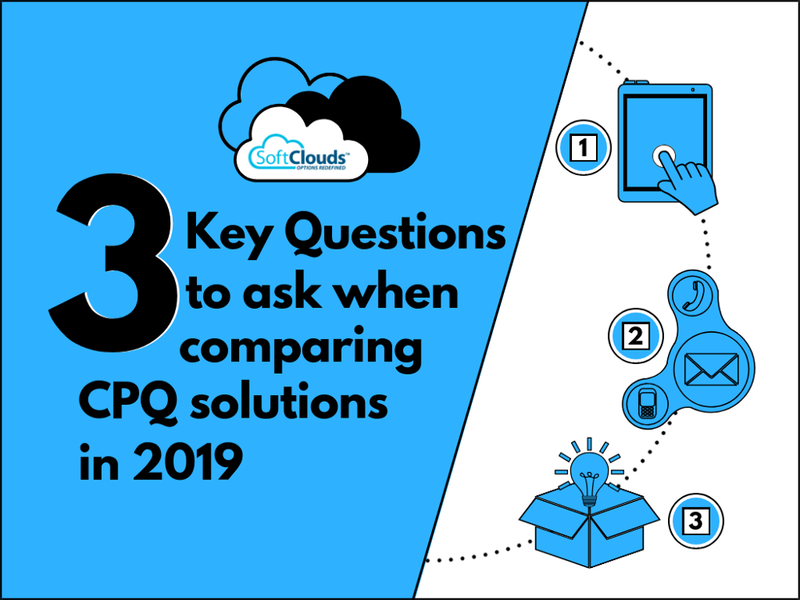 So, for sales executives looking to streamline their sales process in 2019 its very important to ask the right questions when comparing CPQ solutions in order to determine which one is the fit for their needs. In favor of Cloud based CPQ solution — CPQ Cloud allows users to easily customize products to meet their needs and complex coding is not required for UI customization. You can also easily create, edit and produce documents with an easy-to-use interface. Businesses don’t need to use their own computers and servers, rather support is through a third-party vendor and security is usually highly secure. System upgrades are automatic, and the timing and functionality of upgrades are not controlled by you. The cost is usually a monthly fee for infrastructure, software support, back-ups and upgrades. In favor of On-Premise CPQ solution — Implementing an On-premise solution may mean additional expenses for hardware/software and may take time to set up. Although On-premise means having control over your data, it has a complex product configuration. The interface is also fully customizable and user friendly with minimal vendor involvement. You are responsible for upgrading, maintaining the application and ensuring availability and recovery of data, and moreover, security is required. License fees are paid for an On-premise solution with annual maintenance. 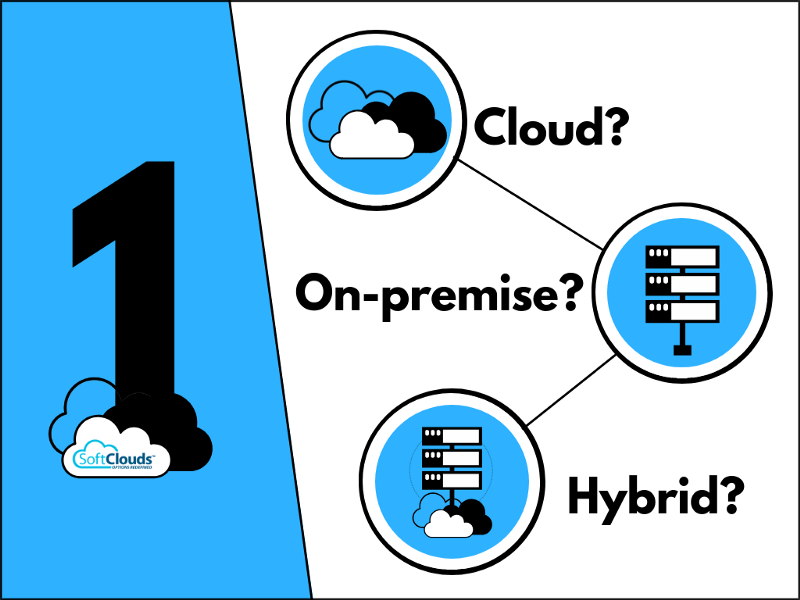 In favor of Hybrid CPQ solution —Hybrid CPQ will give you the best of both worlds, cloud and On-premise. This approach allows the integration of On-premise with other applications in the Cloud. Platform as a Service (PaaS) and Infrastructure as a Service (IaaS) Cloud platforms coexist and you can decide what remains on premise and what remains in the Cloud. 2. What are the “out of the box” capabilities? 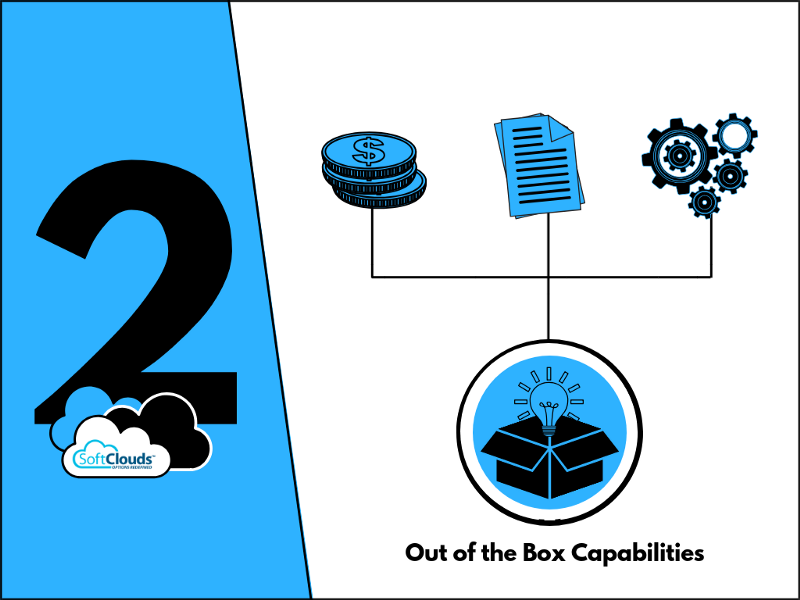 Here are some important “out of the box” capabilities to look for when comparing CPQ solutions. Guided selling — Guided selling guides users to the optimal products and options based on customer needs. Automated pricing — Ability to price products automatically and create accurate price quotes. Document generation —Having functionalities to create documents with multiple pages, tables, images, add conditions, and more. Proposal generation — create, customize and brand proposals. Workflow approval process — Route orders for review and approval. 3. Can it handle complex sets of rules and constraints with minimal customization? When choosing a CPQ solution one important factor to consider is the ability to build rules that are flexible and powerful. This allows you to configure logic specific to your business to fulfill complex requirements. 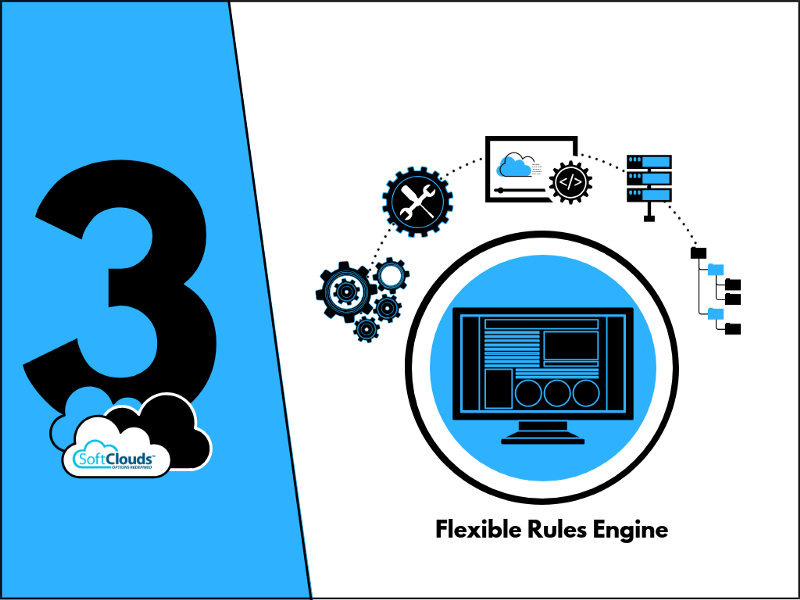 A rules engine that is flexible and powerful will be able to handle complex sets of rules and constraints with minimal customization for faster delivery while reducing implementation costs. Looking ahead, which CPQ software features will be most used in 2019? Guided Selling - Guided selling allows organizations to create a set of questions that prompt sales reps to enter data about customers, like company size or industry. Based on their responses, sales reps are “guided” to the relevant customer offerings. It is a popular feature because it streamlines the sales process by simplifying the product selection process. Guided selling, which is based on your business rules and logic, helps sales reps get up to speed quickly by selecting the right products and services for each customer. Automated pricing - Automated pricing is a function that automates pricing rules and validations based on an organization’s pricing structure and database. It handles complex product configurations and pricing structures and can automatically apply product-specific discounts and offers tailored to each customer. Automated pricing is a popular function because it allows sales reps to sell faster and gives them the ability present customers with quote and order prices that are completely accurate. In addition, it saves time on pricing and quoting, increases close rates, provides up-selling and cross-selling opportunities. The “Global Configure Price and Quote (CPQ) Software Market 2017–2021” predicts the CPQ software market to grow at a CAGR of 14.53% globally. CPQ was once focused only on the manufacturing industry but due to consumers having greater expectations and constantly changing product portfolios, it has grown to be used various industries. Customer expectations, like the need for instant quotes, is something that a CPQ solution can provide. Although better known as a selling tool, CPQ also offers other benefits. A CPQ solution, provides a seamless experience that meets the needs and expectations of customers. Offering a CPQ solution is beneficial in e-commerce applications, especially in the B2B market. According to Gartner, 40% of B2B ecommerce sites in 2019 will use a CPQ tool to “calculate and deliver product pricing dynamically.” CPQ, which Gartner also predicts will have a market with a 20% annual growth rate through to 2020, will allow businesses to provide a unified experience to partners and distributors and a unified cross-channel buying experience. With the increased use of mobile devices, CPQs ability to be used in multiple mobile platforms enables sales reps to build quotes, work proposals and configure products whenever and wherever they are. Businesses and sales people need to be mobile ready especially since sales reps will rely more on mobile devices for quotes over desktop devices. The CPQ market in 2019 will continue to grow as outdated sales systems are being replaced. Choosing the right CPQ platform to achieve sales targets in 2019, be it cloud, on-premise, or hybrid, depends on the needs of a business. In addition, selecting the right system depends on out-of-the-box capabilities, having a powerful rules engine, and the ability to provide outstanding customer experience. Other factors to consider when choosing a CPQ system are cost, integration and security. 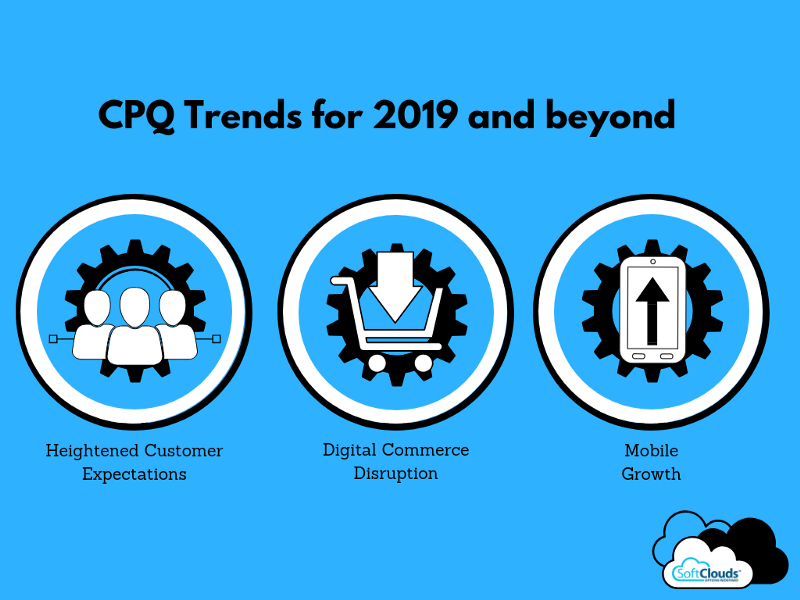 In 2019, to be an even more relevant tool for businesses, CPQ systems will need to consider customer expectations, ecommerce distribution, and the growth of mobile usage. This post was written by Brian J Friedman, SoftClouds’ VP Global Strategic Sales, has a background in technology, business development, corporate management and sales. Brian has been responsible for the creation and growth of numerous companies developing successful long-term relationships that have resulted in double-digit sales growth and continuing business expansion.